Whether at the office or in the factory, with COYO, you can reach all of your employees anytime and anywhere they might be. “Digital home” brings to mind a sense of trust, belonging, and community. 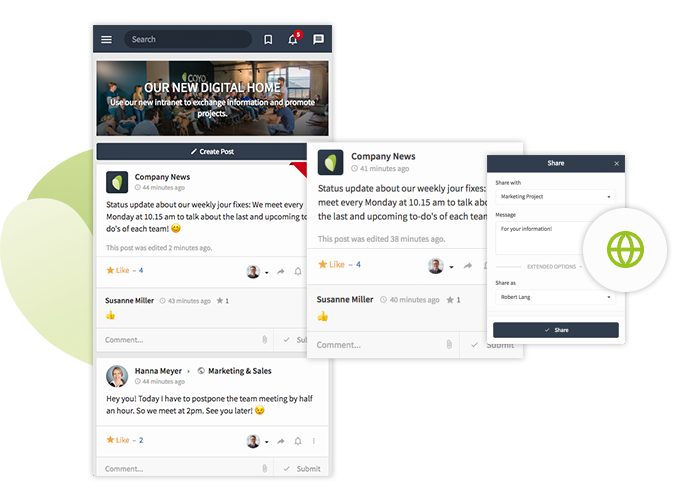 As a social intranet app, COYO is the place where everyone at your company comes together. 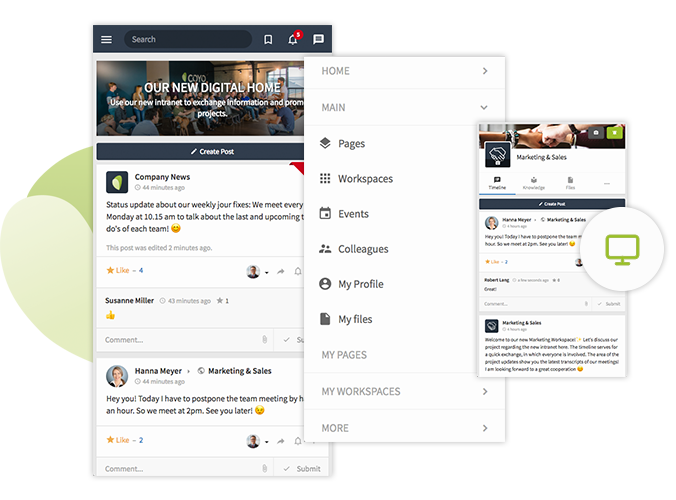 Not only does the intranet have an ultramodern look, the software also follows a fundamental mobile-first approach. So it doesn’t matter if you’re at the office or on the beach in the Bahamas – you can access COYO from any place at any time! “Where’s that company presentation again? Is it in the workspace or in the folder for the news page?” These questions are a thing of the past thanks to the COYO search function. Simply enter your term in the search box and get the most relevant results in a flash. It could hardly be easier. It’s important for a company to be able to reach all its employees, whether they work in the office, in field sales, or in production. 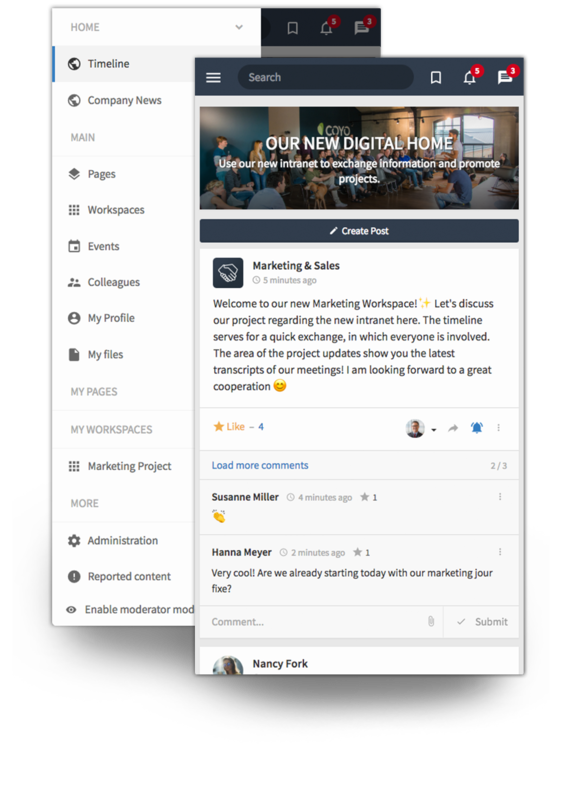 A mobile intranet by COYO lets you do just that – and is tailored to users’ needs. Company news is designed to be consumed, ideally with a smile rather than merely out of a sense of duty. 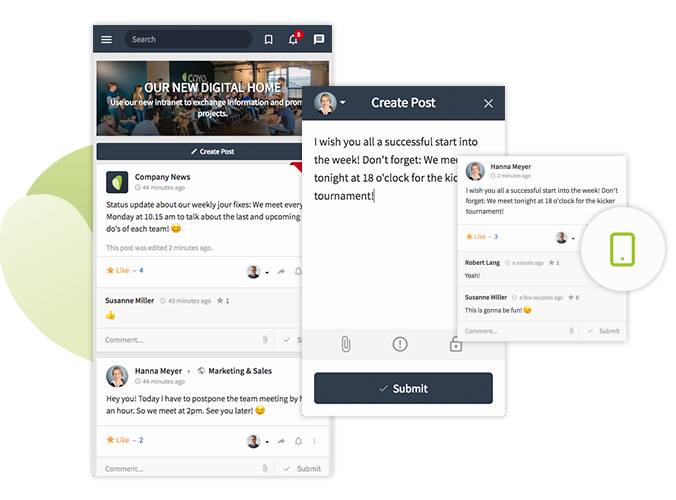 COYO lets you revolutionize how your company communicates, with your social intranet transformed into a key pillar of your internal communication. How much of your working life have you spent searching for files? We think too much. That’s why we equipped COYO with an intelligent, global search. Easily find files and more – without having to think about where to look. Type, click, find. Communication is a vital factor in the success of your company. After all, it’s the only way to share information and knowledge. In an era of private messaging services, there is a risk of shadow IT systems and the lines becoming blurred between people’s private and professional lives. 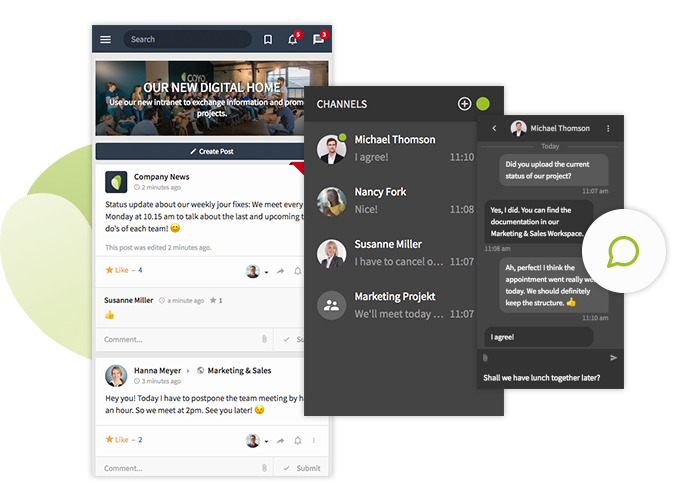 This makes it all the more important to offer your employees a company messaging service that is easy and fun to use – just like COYO Messenger. Are you using COYO and do you have the opportunity to work on collaborative projects that take your company further? Congratulations! COYO takes your collaboration to the next level. 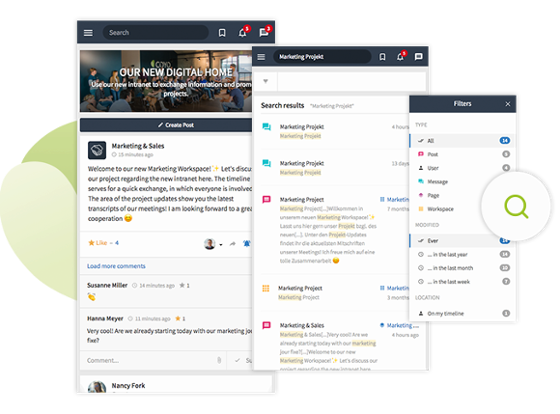 You can work together on documents and communicate about the current project status in workspaces. With COYO, the sky’s the limit for your collaboration! 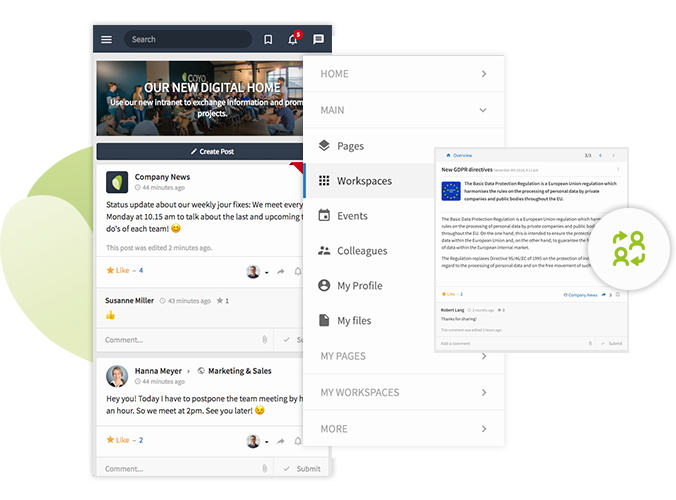 COYO is the custom intranet solution for every company. A success story from the Rhineland. 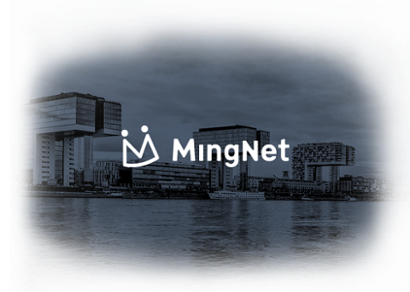 On May 22, 2017, RheinEnergie AG launched its COYO intranet called “MingNet.” The name means “my network” and was selected for their new digital home during a brainstorming session with over 400 employees.